Carl Frampton's journey towards a world title is almost complete after he stopped Jeremy Parodi in the sixth round in Belfast on Saturday night. The European super-bantamweight champion dominated from start to finish as he recorded his 17th consecutive victory in front of a delirious home crowd. Frampton now hopes to challenge for the IBF belt in his hometown next year and will offer a huge pay day to the winner of champion Kiko Martinez's fight with Jeffrey Mathebula in December. And Frampton, 26, will be confident of taking that final step having knocked out the Spaniard in February before Martinez shocked the then unbeaten Jhonatan Romero in August. 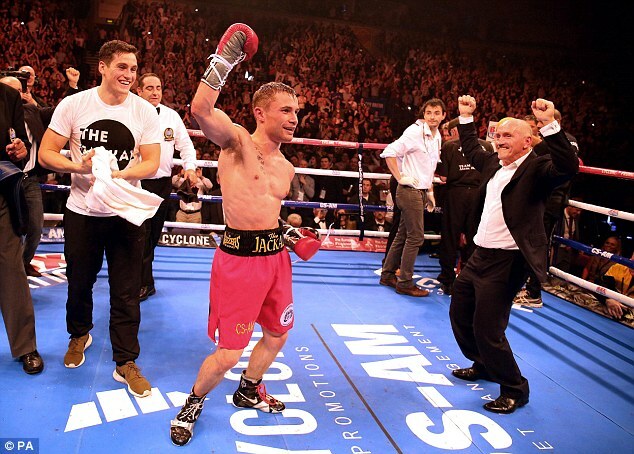 But before he could turn his attentions to following his mentor and manager Barry McGuigan into his country's sporting history books, Frampton was faced with the challenge of Parodi who had lost just one of his 37 fights. And the nine thousand fans who packed into a sold-out Odyssey Arena were not disappointed. Parodi was content to box on the back foot in the opening round and was made to pay the price as Frampton threw the eye-catching punches. The Frenchman appeared wary of his unbeaten opponent and was punished with several thudding left hooks to the body in the second session. But the 26-year-old enjoyed more success in the third round as he used his jab to good effect. It was Frampton, however, who stamped his authority on the fight in the next stanza, sending Parodi staggering back with a left hand. He followed that up with a succession of stiff rights which left the visitor's eye swollen by the end of the round. Blood continued to trickle from a cut above Parodi's eye but the Frenchman refused to back down, even when his bravery saw him caught clean with a right uppercut towards the end of the fifth session. But just as Parodi looked like he might tough it out for the duration, he was caught by a stunning left hook to the body with just one second of the sixth round remaining. Forced to take a knee, he failed to beat the referee's count and the celebrations began in earnest. 'I'm the hardest punching super bantamweight in the world and I'm ready for anyone,' said Frampton while McGuigan confirmed they will offer either Martinez or Mathebula 'a lot of money' to defend their title in Belfast next year. 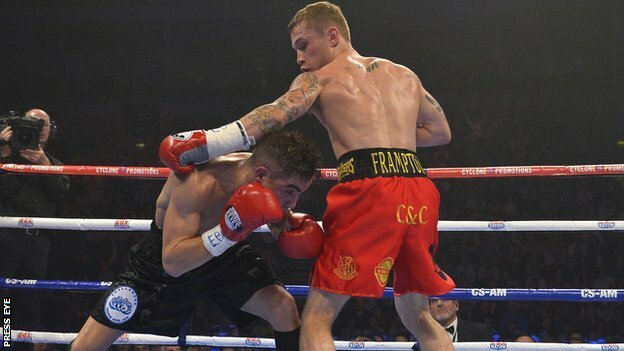 Carl Frampton has retained his European Super Bantamweight title by knocking out Jeremy Parodi of France in the sixth round at the Odyssey Arena. The contest was billed as an IBF world championship eliminator and promoter Barry McGuigan will now be looking to get his fighter a major title contest. Frampton, 26, was in control from the start, outclassing an opponent beaten just once in 37 previous contests. 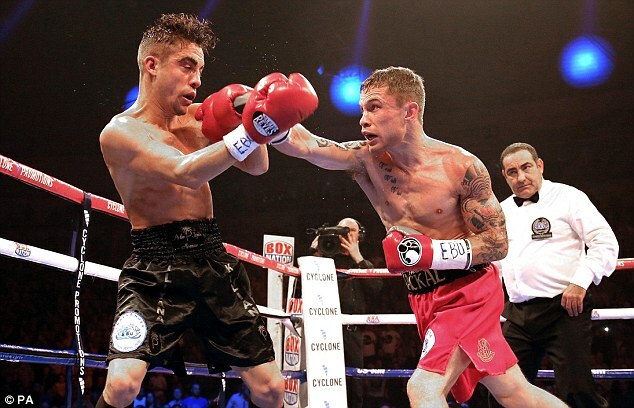 Northern Ireland's Frampton has won all of his 17 professional fights. 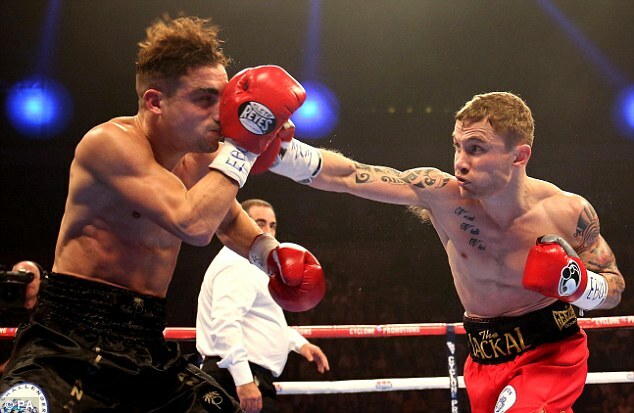 A composed Frampton was on the front foot from the off, his left jab getting through early on and a couple of combinations troubling his opponent in the opening round. 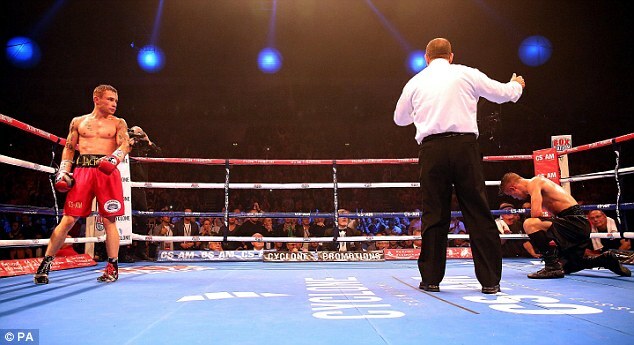 The home favourite remained on top in rounds two and three, pushing his opponent back at every opportunity. A solid left hand in the fourth sent Parodi staggering back and, with Frampton targeting a cut above the Frenchman's left eye, a couple of big right hands had him shaken. A fierce left to the body thrown by Frampton at two minutes 59 seconds of the sixth was too powerful for the Frenchman and he fell to his knees to be counted out. This was Frampton's first fight since claiming the European crown by beating Kiko Martinez in the ninth round in Belfast in February. Frustratingly for Frampton, though, Spainiard Martinez won the IBF super-bantamweight title in his next fight and the Belfast man's camp are expected to seek a rematch. 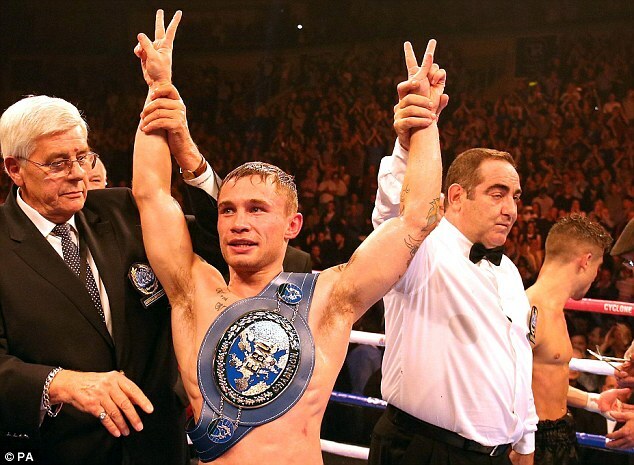 In July, Frampton had to pull out of a contest at Wembley because of an ear injury . On Saturday's undercard, Ricky Hatton protégé Ryan Burnett, 21, also from Belfast, stopped Reynaldo Cajina of Nicaragua in the second round of their bantamweight contest. Jamie Conlan was a first-round winner over Argentinean Walter Rojas while Marc McCullough won the vacant Irish featherweight title by beating the experienced Limerick fighter Willie Casey. Dungiven's Eamonn O'Kane became the new IBF Inter-continental middleweight champion with a points victory over Welsh man Kerry Hope.